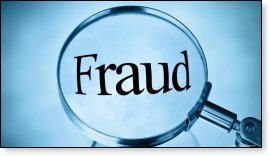 In Utah, unethical "insurance medical examiners" hired to deprive injured workers of guaranteed Workers Compensation medical and other benefits are protected by "state policy" from any liability for harm resulting from their fraudulent examinations. The judge reasoned that if so-called insurance medical examiners were held liable for harm they may cause workers as a result of fraudulent medical exams, it would "open a Pandora's box" that would "have a chilling effect" on insurers' ability to find doctors willing to perform such exams. You read that correctly: The judge was more concerned in his ruling about protecting fraudulent insurance medical examiners from accountability than protecting injured workers from being defrauded of their lawful rights! The case is in the early stages of an appeal, AND WE NEED YOUR HELP. 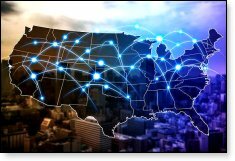 The outcome could affect not only Callan, but countless other workers in Utah and throughout the nation, where Work Comp practices tend to be similar from state to state. If successful, the appeal could set an important precedent that would clarify the rights of injured workers in states where unscrupulous doctors are allowed to defraud workers of their rights and cause them serious harm with impunity. The current ruling prevents Callan from recovering any monetary damages caused by the defendant, who fraudulently colluded with a Work Comp insurer to deprive Callan of his rights. It is irrelevant to the judge that Callan can prove that the defendant severely aggravated his near-fatal injuries from a work-related accident when she maliciously caused his care to be terminated for her own financial benefit. Callan continues to suffer unhealed impairment and new injuries as a result of the doctor's unscrupulous, willful negligence. These strong claims are supported by ample evidence. Among the evidence is a public audit that shows the Work Comp insurer at issue has 100% ownership of the medical exam business for whom the doctor is the primary physician. 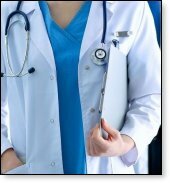 The doctor is thus the insurer's paid agent and affiliate, and not an independent examiner who is "unaffiliated" with the insurer, as alleged by a fraudulent written disclaimer Callan was given at the time of the exam. The kind of medical travesty described herein is clearly contrary to the public interest and makes a mockery of Workers Compensation laws designed to help injured workers. 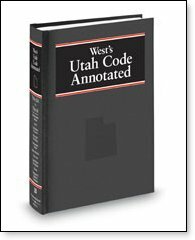 Unfortunately, as already emphasized, not only is such systemic corruption winked at in Utah, but it is also common throughout the United States, according to public documents and the views of respected law firms. 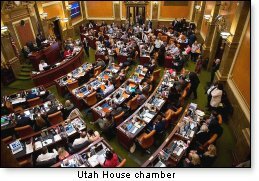 Utah is just following other states in shielding corrupt "insurance medical examiners" from liability for harming injured workers in violation of Work Comp rules – on the questionable premise that favoring insurers (and their enablers) above injured workers is in the best interests of the public, since the policy attracts insurers to the state. Callan knows of at least one instance where a seriously injured worker died specifically because his care was unjustly dropped by a Work Comp insurer following a fraudulent medical exam similar to Callan's. He learned this from the man's widow – a financial representative at a local hospital, to whom he committed to do all he could to correct such injustice. 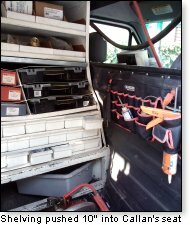 In September 2012, Callan was following his brother – a journeyman plumber who was training him – as they drove separate work vans to a plumbing job. As they passed a dual on/off ramp on the freeway, a driver next to Callan forced her way into his lane, causing a minor fender-bender. A heavy semi-truck moving vehicle following Callan was traveling too fast to brake and collided with Callan's small work van, forcing metal shelving into his seat and causing his head to hit the steering wheel with such force it caused a serious brain injury when the airbag failed to deploy, in addition to other damage to his head and body. Callan was taken to a local hospital with a major subdural hematoma that could have cost him his life, his family was told, had the EMTs not been quick in transporting him. He was operated on to correct the subdural hematoma and related midline shift of his brain. He had multiple other injuries that were not life-threatening that were left untreated, such as a significant jaw injury and damage to his legs, hips, tailbone, and back. As soon as he stabilized from his brain injury, he was released from the hospital. Less than a day later, Callan showed symptoms of acute bacterial meningitis and was rushed back to the hospital. He was given powerful antibiotics to counter this deadly cerebrospinal fluid infection, and within five days his condition was deemed safe enough for him to be discharged. He spent a total of 10 days in the hospital as a result of his accident. All this emergency medical treatment was provided automatically by Callan's Work Comp insurer through his employer's policy, as required by Utah's Workers Compensation rules. Under those rules, a worker's sole legal remedy following a work-related injury is compensation through his employer's Work Comp insurer, in exchange for which the worker is required to forfeit any claims against the employer for negligence or other liability. Fair and lawful compensation under this arrangement is therefore the very heart of the system. The defendant in this case is an "insurance medical examiner" – the term used by the Utah Administrative Code for a medical doctor hired to examine injured workers on behalf of an insurer. She is the principal medical examiner at a firm wholly owned by the Work Comp insurer that covered the cost of Callan's injuries, and is considered by at least two major law firms to be one of the most notorious insurance medical examiners in the state. She typically receives online reviews of about 1 out of 5 stars, often with angry comments that she is in the pocket of insurance companies and cares little about injured workers. In April 2013, six months after Callan's accident, the defendant was assigned by the insurer to perform an "impairment rating" of Callan – a procedure required by Utah Work Comp law to be conducted in careful compliance with Utah's "Impairment Rating Guides" after an injured worker has reached "medical stability" (meaning that healing has been objectively determined to be as complete as it is likely to get). It is expressly unlawful, according to the Guides, to rate impairment before medical stability has been objectively verified. In direct violation of these and other express instructions from the state's Impairment Rating Guides, the defendant arbitrarily (with no medical evidence) declared that Callan had reached medical stability; reported that he had totally healed of all his injuries; covered up important laboratory evidence that confirmed his acute bacterial meningitis; ignored his treating physician's clinical reports of disabling severe head pain he suffered daily and other life-altering deficits; and pronounced him to have returned to his pre-accident condition. She therefore assigned him a 0% impairment rating, and said he was capable of returning to "any type of competitive employment." In reality, Callan suffered at the time from such disabling head pain, dizziness, sleep dysfunction, cognitive impairment, and emotional stress (not to mention a half-dozen muscular, joint, spinal, and related deficits) that he was unable to return to work – a fact made clear in his treating doctor's reports, which the defendant ignored. As evidently pre-arranged by the insurer, the defendant did as she was hired to do and authorized the insurer to terminate Callan's medical care and other benefits in clear disregard for the state Guides, an outcome that amounted to "insurance fraud" under Utah statutes. HELP CALLAN IN HIS BATTLE AGAINST SUCH CORRUPTION. 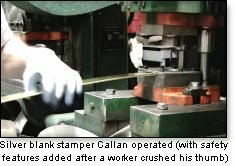 As a result of this fraudulent termination of his benefits, Callan was forced to return to work (at low-paying part-time jobs, since he was unable to return to his demanding full-time plumbing job) in order to pay for still-needed medical care, since his Work Comp lost wage benefits were dropped along with that care (and his family was not in a position to provide for his costly medical needs). Working at a local grocery store for two years, during which he injured his back due to his unhealed injuries and was eventually let go for health reasons. 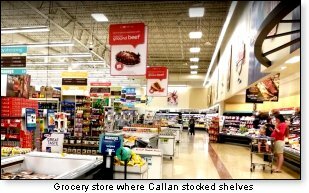 It should be noted that Callan worked a year and half with untreated injuries – under extreme duress from incapacitating head pain, related dizziness, and debilitating lack of sleep due to his physical disabilities – from the time his Work Comp benefits were terminated until he was finally able to get urgent medical treatment (as his EMT captain suggested he get when he first lost his EMT job). Callan was able to obtain needed treatment when he received the first of two settlements (in September 2014) from the drivers who had caused his accident. This settlement came about the time he was first let go at the ambulance. During the year and a half he worked without urgently needed medical care, Callan earned a total of $6,408. In the 6-plus years since his accident to the present time, he has earned a total of $20,284, which includes his two years working at the grocery store. That averages $3,220 a year. One compelling reason Callan is pursuing legal action against the defendant is because he is concerned he may never be able to work at a sufficient job – due mainly to his cognitive challenges and other residual effects of his brain injury and meningitis, which the defendant aggravated by forcing him to return to work prematurely under extreme conditions, as well as due to the herniated disc he suffered when he injured his back, as noted, at the grocery store, as a result of poor lifting technique attributable to problems with his legs, knees, hips, and back caused by lack of timely care and being forced back to work with unhealed injuries. 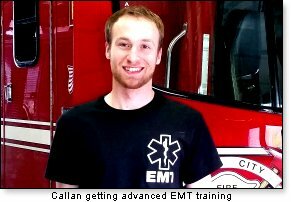 Callan is nonetheless hoping to find permanent work as an EMT (even if only part-time), an occupation he greatly enjoyed, since it gave him the opportunity to give needed help to ill or injured people. A little less than a year after the defendant's unlawful 0% impairment rating in April 2013, Callan was given a reliable 12% whole-person permanent impairment rating by his treating physician, calculated in compliance with Utah's "Impairment Rating Guides," as required by law. The wide discrepancy between the two ratings offered evidence that the defendant's rating, the basis of which indicated the rating was not in compliance with the Guides, was not merely incompetent, but fraudulent – since the Guides allow no more than 3% per year variation between two valid ratings (and certainly not 12%). This compelling evidence that the defendant's rating was fraudulent supports Callan's allegations she improperly used her authority as a licensed physician in April 2013 to authorize the fraudulent termination of his benefits. Without the 0% rating, his benefits could not have been dropped. It should be noted that the 12% rating included 5% for "severe post-traumatic headaches" and 7% for "cognitive dysfunction as a result of head injury" – also diagnosed as "subsequent post concussion syndrome with long-term impact on life function." 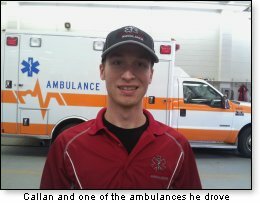 Three years later, Callan received an additional impairment rating from his treating physician after he sustained the above-mentioned back injury at the grocery store where he was working after the second loss of his EMT job. The ER physician at the hospital where he was taken attributed the injury to poor lifting technique when Callan was lifting heavy cases of bottled water. As already noted, this poor lifting technique can be attributed to weakness in Callan's legs, knees, hips, and back due to lack of timely healing after his Work Comp benefits were terminated. Based on the results of an MRI on January 19, 2017, Callan's treating physician diagnosed his back injury as a herniated disc, which he rated as a 5% whole-person permanent impairment that is likely to bother Callan the rest of his life. The above facts demonstrate that it is undeniable that Callan has suffered real impairment in this matter attributable to two undeniable causes – (1) Callan's work-related injury, which the defendant ignored and falsified in her exam and its report, resulting in the second cause: (2) the defendant's aggravation of his initial injuries, making her liable, at least in part, for any damage Callan exhibited after the loss of his Work Comp benefits. These facts strongly implicate the defendant in the unlawful – and injurious – termination of Callan's care. PLEASE HELP CALLAN IN HIS BATTLE AGAINST SUCH CORRUPTION! In addition to the facts and events already described, Callan and his family became aware (through an exchange of documents with the defendant in July 2017) of a second occasion of unconscionable misfeasance by the defendant that occurred in January 2015. The occasion was an inquiry by Callan's Work Comp insurer into the defendant's 0% impairment rating because of the wide disparity between the defendant's rating and the 12% rating Callan received months later from his treating physician. The inquiry took place through an exchange of letters between the insurer and the defendant. Knowing this, the defendant proceeded, in a slanderous, misleading letter to the insurer, to disparage and misrepresent the skills and honesty of Callan's treating physician – even accusing him of awarding Callan the 12% rating for his own financial benefit. She particularly criticized him for relying on the most up-to-date information about Callan's condition, as required by the Guides, instead of outdated information in the record. Her letter amounted to a malicious attack on Callan and his treating physician, in an unethical effort to prevent the physician's legitimate rating from superseding her own. Such deliberate abuse of the Work Comp system would appear not only to constitute obvious insurance fraud in violation of Utah statutes, but provide grounds for "punitive damages," which are extra penalties in a civil judgment meant to make an example of a wrongdoer guilty of egregious negligence. CALLAN NEEDS YOUR HELP. PLEASE CONTRIBUTE. As noted, Callan received his first settlement from the drivers who caused his accident in September 2014 (two years after his accident). For the first time since the unlawful termination of his Work Comp benefits in April 2013, he finally had the means to obtain needed medical care for his unhealed injuries (since his family had little means to compensate for his loss). 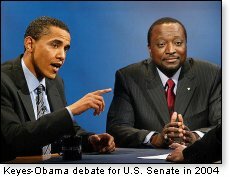 He enlisted the services of a highly trained (and fairly expensive) expert in head pain, sleep dysfunction, and jaw injuries who successfully treated these debilitating chronic impairments (and related dizziness) that had severely limited his functional ability and caused him to lose three consecutive jobs up to that point. By mid-February 2015, Dr. Bennett restored Callan to a degree of wellbeing that enabled him to exert himself for the first time in two years without disabling headaches, dizziness, and disorientation that were previously unmanageable. Dr. Bennett also persuasively demonstrated the degree to which the premature termination of Callan's Work Comp benefits had caused his increasingly aggravated condition – unavoidably identifying the defendant as the singular cause of serious medical injuries not attributable solely to the drivers who had caused his accident. As a result of Dr. Bennett's extensive diagnosis and successful treatment, it became immediately clear to Callan and his family that they now had a definable basis to sue the defendant, which they proceeded to do by filing a medical malpractice action against her within the time allowed by the statute of limitations. Among evidence they gathered was an affidavit signed by Dr. Bennett attesting to the above medical facts (and related liability), dated July 14, 2017. Further leading Callan to sue the defendant was a new Utah statute, §78B-3-426, "Nonpatient cause of action," enacted in 2016 (which was triggered by the Utah Supreme Court's landmark 2012 decision Jeffs v. West, which broadened the rights of "nonpatients" to sue a physician whose affirmative acts had caused them demonstrable harm). This new statute – as plainly worded – defined the will of the legislature in allowing a plaintiff to bring a medical malpractice suit against a doctor who was not the plaintiff's personal physician, provided the plaintiff could meet certain strict criteria set by the legislature, which Callan could show he met. In principle, the legislature's strict criteria implied that the more a doctor's negligence was willful and deliberate, the more an injured plaintiff was entitled to sue. That is consistent with the rationale outlined by the State Supreme Court in its Jeffs v. West holding, as well as the requirements of other states' negligence codes. In August 2016, Callan – armed with most of the above evidence and arguments – asked his father, Stephen Stone, to help him mount a malpractice action against the defendant while the statute of limitations still allowed. Callan told his dad that he felt the need to sue the defendant as a matter of principle for the malicious manner (as verified by documents and testimony) in which she deprived him of his rights and diminished his capacity to support himself, get married, support a family, enjoy meaningful interaction with others, and live happily and productively. As they talked things through, both agreed the defendant should not be allowed to practice medicine without a strong, principled challenge. 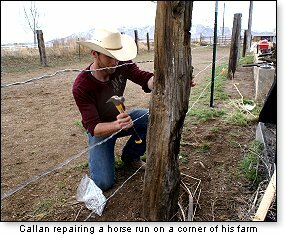 Callan also told his dad he felt obligated to help other injured workers who may be defrauded of their rights as he was, even if doing so meant he might suffer the loss of all his remaining funds from his two accident-related settlements. He said he felt a duty to others who may in time be harmed by the outrageous, unlawful system in Utah that allows fraudulent "insurance medical examiners" to maliciously deprive injured workers of medical and other benefits to which they are entitled under Utah's Workers Compensation system. He felt his own case was so clear-cut and egregious in its injustice that it offered a test case that might help correct the systemic corruption that exists in Utah's so-called "insurance medical exams." 6-acre productive farm he acquired in February 2015 with most of his settlement money (and help from an uncle) that he was hoping to use to help him become self-reliant, in view of his handicaps. The farm is a mile from his parents' small farm, and they were hoping he could settle near them so they could help guide and assist him as he dealt with his various handicaps and challenges. That possible sacrifice included the diminished likelihood of being able, in time, to build a home on his farm, so he could get married and raise a family in the family-friendly farm community where his parents have owned their farm since 1987. By identifying his farm as among those things he would be willing to sacrifice, if necessary, to pursue his lawsuit, Callan indicated he was willing to give up the single most important thing he was hoping to gain if he won his suit: the opportunity to build a modest home on his farm. From August 2016 until now, Callan and his father have spent thousands of hours working on his suit (with his dad providing needed help and support – but not representation; Callan has been representing himself). 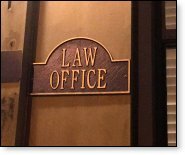 They have been forced to do so largely because they have been unsuccessful in finding an attorney willing to take the case on a contingency basis (that is, a percentage of any award), as is common with a promising case. They have spent seemingly countless hours making numerous trips to lawyers' offices to explain Callan's case and seek legal counsel, usually being told the case was "outside [the lawyer's] expertise," was "too difficult" or "too complex," had "little likelihood of succeeding" in Utah's existing medical malpractice climate in which "you can't sue an 'insurance medical examiner,'" and so on. Not once has an attorney looked at the case, however, and said it lacked merit. In the past two years, Callan and Steve have met with (or called) over 20 well-recommended lawyers (some many times), only to come up short in their search for legal representation. So, with the exception of two important hearings with the judge for which they succeeded in obtaining "limited representation" (at a cost of about $12,000), they've had to pursue this case on their own – with periodic help with documents and strategy from a semi-retired lawyer uncle. After they won a critical early decision by the judge that allowed them to press on to this point, one of the "limited representation" lawyers they conscripted said he couldn't believe they'd gotten as far as they did on their own and commended them for their efforts. Even the judge who ruled against them on January 23, 2019 (requiring them to appeal to the Utah Court of Appeals if they want to go further), told them they'd "done an admirable job" on their own and implicitly encouraged them to appeal, saying of his ruling, "maybe I'm wrong." From the start, Callan and Steve decided that no matter what came of Callan's lawsuit, they planned to lobby the legislature for a fair and reasonable solution to the systemic corruption that has come to permeate Utah's Workers Compensation system (as well as the state's medical malpractice norms) in violation of existing laws meant to prevent such corruption. They believe a few rules and statutes mainly just need some tweaking. DURING THIS 30-MONTH ORDEAL. PLEASE CONTRIBUTE. Under Utah's Work Comp laws, medical examiners hired to assess injured workers are required to follow the state's guidelines for rating impairment, to ensure "consistent, universal, and fair" compensation of workers injured on the job. Serious violations of the state's Impairment Rating Guides – as occurred in this case – amount to violations of the law, according to the state's Administrative Code and the Guides themselves. The judge's ruling ignores the unlawful nature of the defendant's examination and the far-reaching harm it caused the already seriously injured plaintiff, who was dependent at the time on Work Comp benefits to which he was legally entitled. 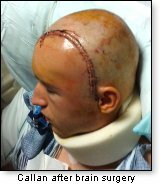 On March 14, 2014, the physician determined Callan had verifiably reached medical stability and then proceeded to award him a 5% whole person impairment for "severe post-traumatic headaches," which the Guides define as a "severe persistent extraordinary painful condition" that qualifies for an automatic 5% rating (in sections 2.0a and 2.0a.i). As provided by the Guides, Callan's physician also awarded him an additional 7% whole person impairment based on the AMA impairment rating guides (5th ed.) and stated the additional rating was awarded for "cognitive dysfunction as a result of head injury," which he labeled "subsequent post concussion syndrome with long-term impact on life function."